Go wide fast in your MLM Company! This is some very important advice I learned from the network marketing legend himself, Mark Yarnell. Ideally, you want to personally sponsor 20 to 30 people as quickly as possible, preferably in your first month or two in the business. The sooner the better. The major benefit of going wide fast is that it makes you profitable AND it will allow you to find/identify 5 to 10 serious people to work with. Going wide fast will put a lot of momentum in your network marketing business. If you only sponsor one or two people a month, it will take you a couple YEARS to build up any type of momentum. When you sponsor 30 people in your first few months of your business, here’s what you can expect. What you will do at this point is work with your hot prospects. Yes, you love on everyone and support everyone, but you work with the willing. Your hot prospects (leaders) will let you support them, coach them, help them build a team AND do what you teach them. This will allow you to build a team quickly and start working in depth right away, which is what you want. Quite perhaps the biggest mistake that most network marketers make is that they don’t sponsor enough people. You have to sponsor a large group of people to find a few serious people. It’s the 20/80 Rule in full effect. 20% of your people will do 80% of the work and produce 80% of your income. Your job is to spend 80% of your time with those 20%. If you’re only sponsoring one or two folks a month, your odds of finding any good leaders are pretty slim. Remember, width will make you profitable in MLM and depth will give you long-term security. Study the top earners and most of them have sponsored more than 100 people personally and most of them sponsored 20 to 30 people in their first one to three months. If you want to succeed, you need to do the same thing in your network marketing business. Go wide fast! Identify your leaders and work with them. Build leaders in depth and then sponsor another batch of 20 to 30 people and do it again. Keep repeating this process until you reach your financial goals. What are your thoughts about going wide fast? Leave a comment below to let me know what you think. Everything you said in this post is so poignant. Spending a majority of your time with that smaller number of individuals will bring you more success than spending that same amount of time with the larger number of people. It is so much smarter to invest your time into a group of people you know are committed and really ready to work as opposed to those who are undecided or committed half-heartedly. The work ethic of that 20% will provide many gains that the other 80% combined probably won’t ever give you. Support everyone, but work with the willing. I think that it is good advice to attempt a flurry of recruiting early in your business: you want to build those business legs fast and deep. However, do you believe that some of your better prospects might want to know that you have a little more experience with the MLM that you have chosen? Also, I think that expecting to get 5-10 really good prospects out of thirty might be a bit optimistic. That would be up to 30% of your recruits. I think that it might be perhaps 2-3 that will really stick with you for the long haul and be those few that you can really count on. I may be wrong: you definitely have more experience than I do with the MLM industry. You might not get 5-10 from your thirty, but those thirty people can lead you to your 5-10 serious people. I would highly recommend that any sponsor should have their new distributors read this post. 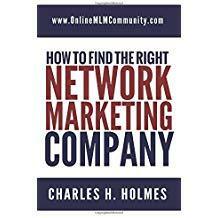 It is great information for those just joining the MLM world, and will give them an understanding of how newbies will quit and just a small percentage will stay. We need to always keep adding to the numbers so that we will build a team. Never stop recruiting. Building width will build wealth. I agree, but at the same time you also need to be selling the products. A good way to go wide with sponsored people is to sell them the products and then show them how they can save by becoming a distributor. Just showing the savings alone will entice many product customers into joining your down-line. You will be getting commission from product sales and making your team wide fast. Mark Yarnell has some great ideas and his books are well worth reading. Do both and you will be fine.